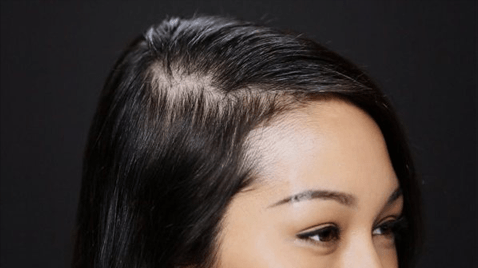 HomeHealthBeing MeHair Transplants In Turkey: What You Need To Know? As the world’s biggest hair transplant attraction, the Eurasian country provides world-class services in state-of-the-art facilities. Every month, Turkey welcomes nearly 5000 medical tourists seeking hair transplants alone. To meet the growing demand of the increasing hair transplant patients, thousands of hair restoration centers popped up around the country making the process of choosing the right technique and clinic all the more difficult. While Turkey runs spontaneous inspections on every medical facility confined within its grounds, patients are still expected to do the diligence. To choose an ideal hair transplant center in Turkey, patients need to make sure first and foremost that the center performs the operation in surgery rooms. Although hair transplants are significantly less complex than open surgeries, wounds are still involved. Complications could occur, even in low-risk procedures such as hair transplants. In case of an emergency, god forbid, the medical crew should be able to tend to the patient. Moreover, the sterilized atmosphere of surgery rooms lowers the risk of infection in the procedure. While most clinics in Turkey perform the surgery in regular clinic rooms, Vera Clinic is one of the select few who operates above board and has high values, where the operation is performed in surgery rooms according to international standards of medical care. The success of any procedure relies on the swift fingertips of the surgeon and hair transplants are not an exception. Fortunately, patients do not have to submit their scalp to discover the skill of a surgeon. Instead, patients should request before and after pictures of previously performed procedures. Also, patients should look-up the Centre’s google page to read reviews of older patients. According to the information found, patients should decide whether to proceed with the said clinic or search an alternate option. After the skill of the surgeon, comes the technique of the surgery to determine the success of the final results. There currently exist two primary hair transplant technologies, FUE and FUT. FUT may still be employed in countries like the UK, mainly due to its lower costs in comparison to cutting edge techniques such as FUT. Needless to say, if patients can have access to FUE or its variants, then the results will be better as FUT leaves a linear scar and leads to nerve damage in some instances. FUE is a technique that individually extracts follicular units which leaves minuscule scars that cannot be seen with the naked eye. In terms of extraction process FUE is more efficient than FUT; however, the two share similar steps post-extraction. Sapphire FUE, enhances on the remaining steps by utilizing sapphire blades, which owing to their properties, speed the incision-making process and poses loss damage to neighbor tissue. In addition, the blades work smoothly shortening the period of the procedure and resulting in shorter out of body time for grafts. In order for hair transplants in Turkey to be a positive experience, patients need to be diligent and look for a few factors. First of all, the hair transplant center of interest should operate in surgery rooms. In addition, patients should review before and after pictures to get an understanding of the surgeon’s skill.